You have noticed that people don’t attend church like they once did. Depending upon who you believe, experts say that as many as one-half of Americans do not attended church services on a regular basis. In some areas that number is far higher. Many churches close their doors every year. Even in established congregations the number of “core” adherents, those that attend every service, is maybe only 40 to 50 percent. A Sunday morning worship service may see 150 people but then attendance drops to maybe 80 on Sunday night and Wednesday. In fact, many congregations no longer offer Sunday evening worship services and have ended midweek studies due to a lack of interest. The view is quite dismal. Some churches have assumed that their numbers are falling because they have not kept pace with changing cultural norms. They offer Saturday services as a substitute for those who do not attend on Sunday but even then the numbers remain poor. Maybe there is another way to approach the crashing decline of church attendance. We must address the reasons that people do not worship. The church must be made important again. We must teach people the value of the church and show the important place it holds in the eyes of Jesus. Only then will numbers begin to climb again. The church must be understood Biblically. You have heard people make that comment before. They are sincere and honest people but thay have a misguided understanding of the church and worship. Often they have soured on church attendance because of some conflict or issue that has troubled them. The fall of a notable preacher or church member is frequently the catalyst that drives people away. Sometimes a disagreement on some doctrinal or financial issue brings hard feelings and a desire to walk away. But despite the conflict the church itself is not the issue. The Bible teaches that the church is an assembly of like minded people called together for a purpose. The word most commonly translated “church” simply speaks of people called together for a purpose. Sometimes the word is applied to non-religious assemblies (Acts 19:32, 39, 41) but most of the time it speaks of the assembly of Christians. This assembly is divine in its origin having been promised by Christ himself (Matthew 16:18) and purchased by the shedding of his blood (Acts 20:28). Entrance into the church is granted by God through grace and obedient faith (Acts 2:41, 47; Romans 1:5; Ephesians 2:8; James 2:14-26). It is only through God we are added to the church. Only the arrogant views himself as being able to insert himself into the church by “joining.” We conclude that a person who is a Christian is already added to the church at the point of his salvation apart from any intent he may have. As a Christian you are part of the church. There is no such thing as a lone ranger Christian. In the first century Christians it was impossible to think of a true Christian who was not a part of the church. The two concepts were nearly synonymous. The church is not only an assembly but an organized assembly. Jesus is the head of the church (Ephesians 5:23) and has instructed that others be given certain roles or even authority under him. Inspired Paul told Titus to ordain elders in every congregation (Titus 1:5) and gave Timothy the qualifications for both overseers and deacons (1 Timothy 3:1-7, 1 Timothy 3:8-13). Others were given for the purpose of building up the church or body of Christ (Ephesians 4:11, c.f. Ephesians 5:23; Colossians 1:18). So far we can conclude that the church is prophesied, ordained, created owned and organized by the divine Lord. But if there were any other question about the importance of the church it is settled by the actions of Jesus himself. Organized religion is important because it is important to Jesus. It was so important that Jesus died for organized religion. Hear Paul’s inspired comment: “Be on guard for yourselves and for all the flock among which the Holy Spirit has made you overseers, to shepherd the church of God which he purchased with his own blood.” Make no mistake, organized religion – the church – is so important to Jesus that he paid for it with his own blood. So when we really don’t care for the church we really don’t care for something incredibly important to Jesus. Worship is the deliberate process by which we give adoration and praise unto God. Jesus points to the Father as worthy of worship, “But the hour is coming and is now here, when the true worshipers will worship the Father in spirit and in truth, for the Father is seeking such people to worship him. God is a spirit and those that worship him must worship in spirit and in truth.” (John 4:23, 24). Worship can be done individually (John 9:38, Acts 16:14, Hebrews 11:21) but is also done corporately or within the assembly (John 12:20, Acts 8:27, Acts 24:11 ). In reality we do not “attend” church. We attend church worship services. It is most correct to say that we are members of the church or a part of the church and that the church comes together to worship. Worship is a deliberate activity which starts and stops according to the intentions of the worshiper. You can worship at anytime but you cannot worship unintentionally or accidentally. In the same section of Scripture we noted above from John 4:24 Jesus said we must worship in a particular way. We must worship “in spirit and in truth.” This argues for the idea that worship is an action that must be carried out in a certain, defined way. Paul’s rebuke of the church at Corinth teaches that there are acceptable and unacceptable ways to worship (1 Corinthians 11:17 ff). The point of this is that worship is specific. It can be done in an assembly or individually but it is to be done by all. This is not to say that one can separate himself from the brethren and worship acceptably. The writer of Hebrews called upon all to come together (Hebrews 10:25). ((There may be times when a Christian simply cannot attend worship. Such would be the exception and not the rule. That determination lies mostly between the Christian and God)) In his writings Paul assumes the brethren join together to worship and uses the phrase “when you come together” to describe their worship assemblies (1 Corinthians 5:4; 1 Corinthians 11:17, 18, 20; 1 Corinthians 14:23. c.f. Acts 20:7). While the church and worship are two different things they can and do intersect. For example there are worshipful things done only in the assembly and done with regularity. ((The Lord’s Supper)) There is no evidence they were ever done apart from the assembly. Private worship is also possible although not a substitute for the assembly. Who can stand before the beauty of sunrise over the ocean and not feel a sense of awe? Who view the panorama of the great mountain ranges of the world and not be touched by the might of the Creator? David was a master of personal worship. Consider the lofty thoughts of Psalm 19:1-6 when he declared the declaration of the heavens: “The heavens declare the glory of God!” Our Lord himself was frequently in worship to God apart from the synagogues and even apart from his disciples (Mark 1:35, Luke 11:1). His hours before his crucifixion were marked by time in fervent prayer (Matthew 26:36; Mark 14:32). We can and should be in private worship to God along with our joint worship with fellow saints. We began by noting the falling numbers in church worship services. It is vital that church leaders craft worship services that are truly meaningful for the worshipers. Allow me to suggest a few quick ideas. Worship, don’t entertain. The purpose of worship is primarily to praise and glorify God. Worshipers are uplifted, encouraged, convicted and humbled by being in God’s presence but he comes first. Teach about worship. Let your members hear the truth of God’s word speaking to them about the need for worship. Demand thorough preparation from your preacher, song leader and others who lead in the public worship. Eliminate non-worship items which creep into the worship service. Church announcements are a real worship killer. Put them in writing or in your bulletin. Build fellowship among church members. When people are loved, appreciated and cared for they will respond in kind. Church is family. Church attendance and worship are closely bound together. We can improve attendance when we make sure worship is Bible based and God focused. Be careful not to blame poor attendance on the worshipers only. You, as a leader, have a vital role to play. Your comments are always welcomed. 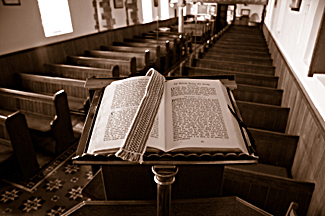 What do you think about declining attendance and meaningful worship? I’d like to know. 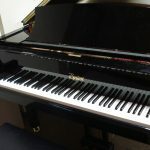 Church of Christ Music: What’s the Big Deal About a Piano Anyway? Between the swine flu, shift work and increase of individuals who cannot hear that need a note taker or simple outlines in order to follow along make it difficult to attend. Previous post: What If Abortion Was Legal When You Were Born?